Diana Rigg - March 18, 2014. Diana Rigg attends the Game of Thrones season 4 premiere in New York on March 18, 2014. 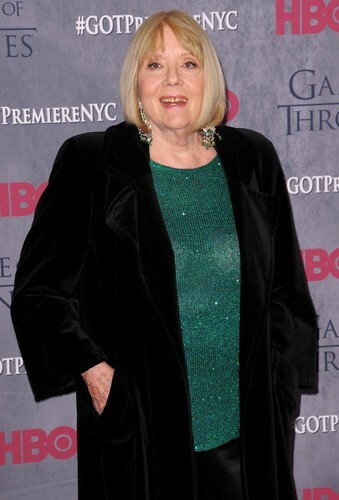 HD Wallpaper and background images in the Diana Rigg club tagged: photo diana rigg actress lady olenna tyrell queen of thorns hbo series game of thrones got game of thrones 2014 premiere ivan nikolov wenn.